The whisky of the day is an Irish blend, the recently released Tullamore Dew Phoenix. This is a blend made up from grain whiskey, malt whiskey and pure pot still whiskey. The pure pot still whiskey content is fairly high at around 70 %. The whiskey has received a full two year finish on Oloroso casks. This is a limited release that was launched this Autumn. The name is derived from the history of the town Tullamore. In 1785, Tullamore witnessed a devastating hot-air balloon accident. The resulting blaze nearly destroyed the town, but they managed to rebuild and come back stronger. Since that day, they placed a phoenix in the town’s coat of arms. 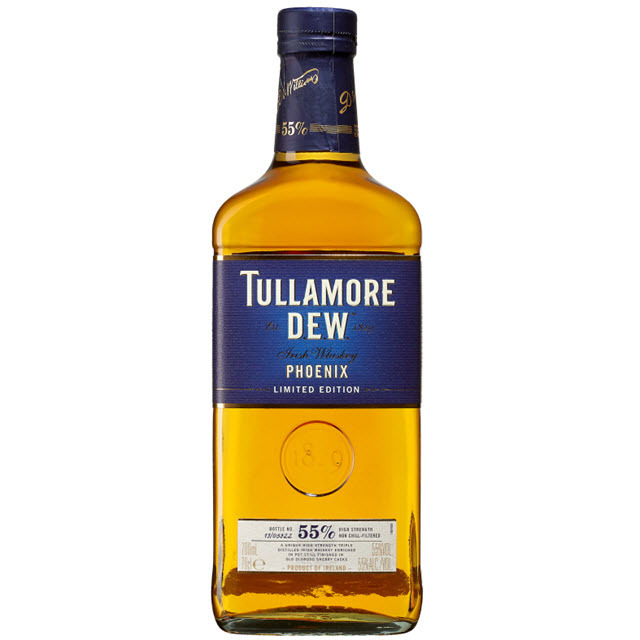 You can purchase Tullamore Dew Phoenix in Sweden at SEK 489 (item number 480). It is not currently available in Norway. Nose (20/25): Massive vanilla! Marshmallows, oranges and apricots. Creamy pot still character. Mild sherry notes and some spiciness. Taste (19/25): Rich and creamy. Oily mouth-feel. Pepper, caramel and vanilla. It is slightly herbal as well. Finish (19/25): Medium long, slightly perfumy on the finish. Herbal. The mild sherry notes add a bit of sweetness. Balance (19/25): A perfectly OK dram. I thin that sums it up. It does not get me excited, but it is a solid product.